It has become a rare occurrence for me to not want a book to end. Normally I am in a constant race with myself to read as many books as possible. All the Light We Cannot See reminded me why I love reading so much, and opened my mind to the fact that reading is not a competition. 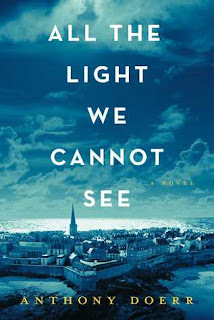 It was so beautifully written that I believe that All the Light We Cannot See will stay with me for a long, long time. It is evident that a lot of research went in to writing this novel. Doerr not only taught me more about what it was like to live during the Holocaust, but he also helped me to understand the experience of being blind more than I ever have before. It takes a special author to make you able to experience touch and sound while reading a novel. 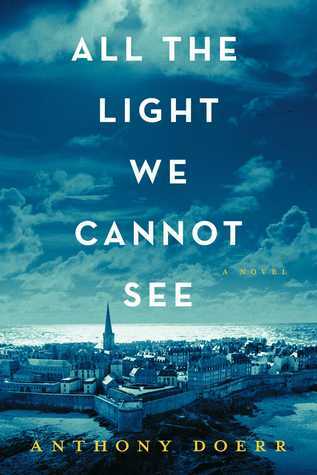 All the Light We Cannot See follows the lives of two characters, which each chapters alternating between each characters stories. Normally in stories written in this way I find myself enjoying one story line more than the other. I was surprised to find that I equally relished reading about both Marie-Laure and Werner. I would recommend this novel to absolutely everyone.